Following the announcement of his mau5trap album and release date, Getter has recently revealed the tracklisting for his debut artist album. 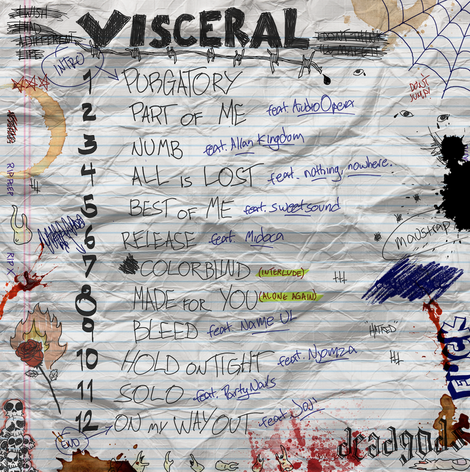 ‘VISCERAL’ features a diverse assemblage of collaborations from Midoca, to Joji, to Party Nails and more. The 12 track work deep dives into Getter’s exploration of new sounds, and demonstrates a different side to the producer. Last week, Getter took to Twitter to share the full explanations and inspirations behind each track. From heartbreak and rejection, to unhealthy relationships, to the mental purgatory faced by being stuck in your own head, Getter holds back no emotions with the album, and the tracks’ raw honesty eminates throughout the whole work.